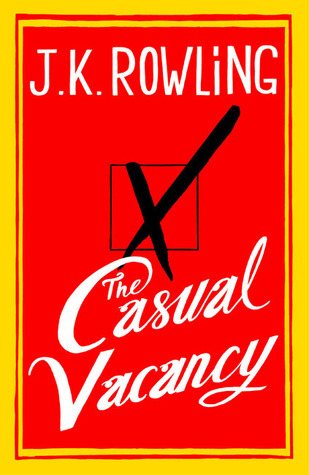 This adult novel by JK Rowling reminds me of DH Lawrence and his major preoccupations of class and relationships. Little, it seems has changed in England or within the insecurities and ambitions of its citizens. The Casual Vacancy is all about class. If newly arrived in the middle classes, which most of Pagford’s residents are, the preoccupation is how to maintain your hard won elevation to ‘society’. If a resident of the lower classes, in this case from The Fields, an unsightly housing estate within site of Pagford, the concern for some is respectability while such trivialities are of no concern to those who deal in stolen goods and drugs. When Barry Fairbrother, a prominent councilor with sympathy for the Fields, drops dead one evening at the golf club several of his opponents can barely contain their glee and line up for the election to replace him. Their aim, to get rid of the Fields, at the very least to shut down the services which support the hapless residents. In contrast, the seriously disadvantaged residents from the Fields are devastated with the loss of Fairbrother, their champion. 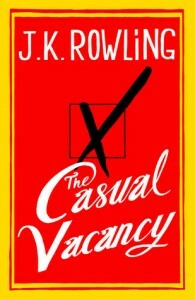 Rowling creates her Pagforth characters with all the satirical glee of Lawrence, (he could learn a thing or two from her ability to tug the heartstrings – and she, from his poetic flourishes). Rowling though, is mindful of her time-poor readership and keeps the story of over 500 pages rolling along. The story is predictable as are her characters but it is her ability to show their inner machinations that kept me enjoying myself for hours. Rowling’s teenage characters are in almost every instance, as dreadful as their parents. They make great reading as she turns the computer literate generation into sophisticated hackers who infiltrate their parents’ profiles to undermine their chance of sitting in Fairbrother’s council chair, though filling his shoes would be a much harder task.